Mark Corney was the speaker for our important annual event, The Grinsell Lecture. His talk re-evaluated the Box Roman villa and its landscape context. This was an excellent illustrated talk by Mr. Corney, who has worked on Roman villas throughout his career and who gave us new insights into interpreting the Box villa and the surrounding landscape. Historically, there was no evidence for Iron Age activity at the site, apart from a Dobunni gold stater. However, 8 miles east of Bath are Iron Age hillforts around the Box villa, for example at Bathampton Down, where there is a complex landscape of field systems. Within 20 years of the army’s arrival, much of the infrastructure in the area was in place. Bath should be looked on as a major healing and religious complex, rather than a town; Box, therefore, is close to one of the most important sites in Britain. Bath and the surrounding area is dense with villas, but they did not appear very early in date, unlike those at Cirencester. Box church sits on top of part of the villas, built on a plateau of tufa where springs come out at the edge of the escarpment. From the Medieval period it was known as a Roman site, because of anecdotal stories of mosaics being found in the churchyard. In 1881 the Gentleman’s Magazine referenced it and part of a range containing a suite of baths and a white mosaic pavement was discovered. The plunge bath was lifted and taken to London for display, but has since disappeared. John Hardy and Sir Harold Brakspear found further remains, including a hypocaust, but no record survives and the mosaics were left open for 3 years. The Wiltshire Archaeological Society stepped in and salvaged much of Hardy’s excavation. Unfortunately, only 5 coins survive and a few artefacts in Devizes Museum. 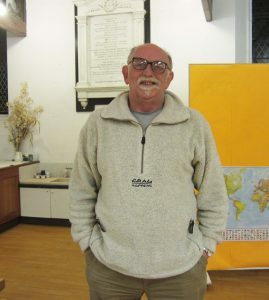 The KOBRA Trust was formed (Knowledge of Box Roman Archaeology) to raise funds to build a model of the villa and Mark Corney was commissioned to write a book putting the villa in its regional context. The model gives a sense of the considerable size of the complex. Further excavation re-opened Hardy and Brakspear’s trenches. There were 40 rooms, with a bath suite dating from 4th Century AD. An early villa (last half of 2nd Century AD) was built partly on the tufa surface and the debris includes Roman rubbish underneath it. Demolition rubble dates to late 1st Century. 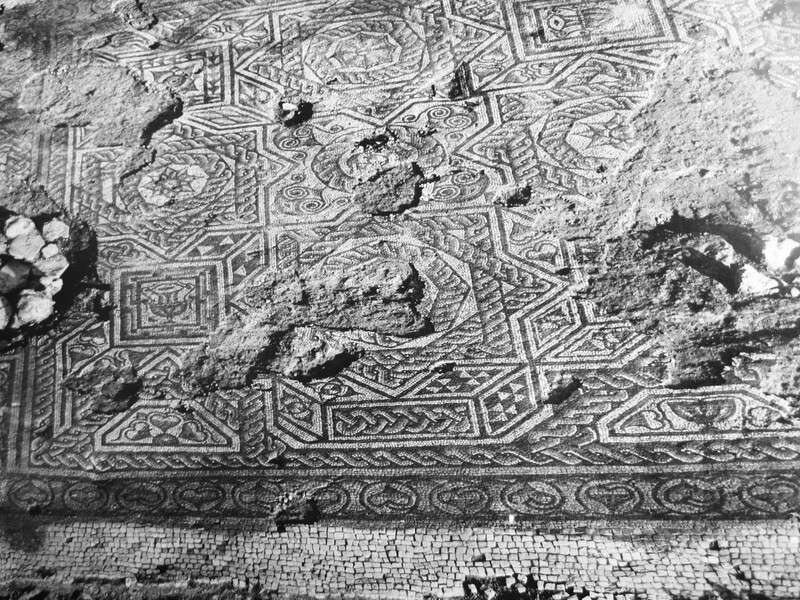 The early villa was covered by later mosaics. Around 300AD, this country house was enlarged and became much grander with major drainage. Then a monumental hall was added with mosaics made from large tesserae. The Roman walling has been re-used and can be seen today. Finds in the area include reliefs of a hand with a trident; a Romano-Celtic head and a silver plaque of a human eye. Graham Webster links Chedworth (a religious centre) with Box suggesting that the trident came from the sanctuary area. Is the site, therefore, a villa and a healing sanctuary? Mark Corney says that in the 4th Century AD it was a major estate centre. In the landscape there is nothing else on the same scale. At the end of the Roman period, it is not known what happened at Box. There is an association of a late Roman Villa with an early Medieval church, but was it a Roman-Christian period that carried on into the Medieval period? This is most likely, as in the current parish, the relicts of a late Roman settlement can be seen on the map.